Lieutenant Dwight McKay was a long way from Chicago. To be precise, he was 4,436 miles away, stuck in a room in a castle in the middle of Germany, sitting opposite a nervous and bespectacled man who, at 49, was nearly 20 years his senior. The man looked like an academic, which, in a previous life, was what he had been. In fact, Dr Hildebrand Gurlitt was one of the most respected art experts and curators in Germany, the product of a supremely talented family that could boast artists and musicians stretching back for many generations. McKay was not of such an artistic bent. He had graduated from law school in 1939, but before his career could get under way, America’s entry into the war in 1941 had seen him drafted into the army. With his legal background, McKay was assigned to the Judge Advocate’s Section of General Patton’s 3rd Army as a war crimes investigator. Since the invasion of Normandy exactly a year before in June 1944, McKay had been hunting down those who had taken part in atrocities. However, for the past month, his section had been investigating German art looting. 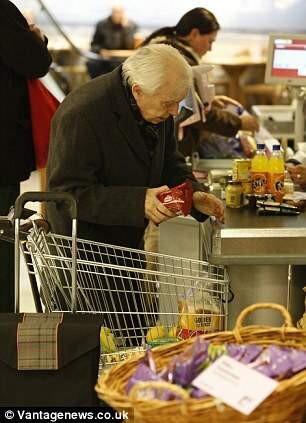 McKay and his comrades had been tipped off about Gurlitt and told he had a ‘red flag’ next to his name. 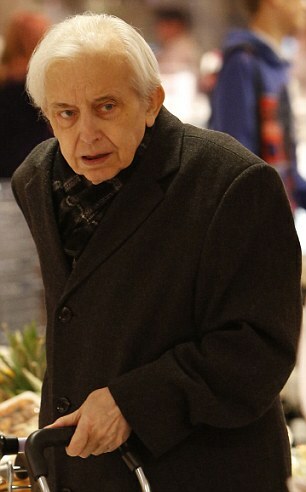 That meant one thing — Dr Gurlitt was a suspected looter. The Americans had seized 139 paintings, drawings and sculptures from him that appeared to prove it. Though the interrogation lasted for three days, its consequences have continued for many decades. 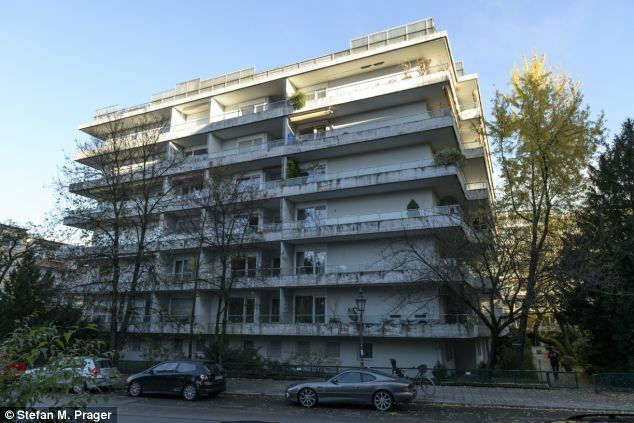 Just last week, they came spectacularly to a head, with the revelation that Cornelius, the 79-year-old son of Hildebrand Gurlitt, has been found to have been hoarding 1,401 artworks worth an estimated £1 billion at his home in Munich. Yesterday, the German authorities released an initial list of just 25 works from the huge collection, including Matisse’s The Seated Woman and Chagall’s Allegory. 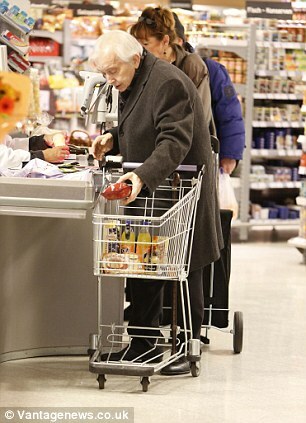 Since the discovery, many have believed Cornelius had committed suicide, but this week he broke cover and was spotted by French journalists in a Munich shopping centre. In a way, he was right to describe the affair in such a way, because the story of how this incredible collection ended up in the hands of an eccentric recluse and hidden behind piles of rotting food in a dingy flat is essentially a tale of theft and deceit on a grand scale. This week, I was able to unearth some formerly top-secret U.S. government documents that allow us to draw a direct line from the chaos of post-war Germany to the strange world of a weird old man almost all of whose life has been defined by keeping the world’s greatest art collection a total secret. More disturbingly, the story of the Gurlitt Hoard also reveals how Hildebrand ran rings around Allied investigators who never realised the true nature and scale of his ill-gotten haul — and handed back most of what they confiscated from him. These investigators included the Monuments, Fine Arts and Archives section, better known as the Monuments Men, whose heroics are depicted in a movie of the same name starring George Clooney and Hugh Bonneville, which premieres in just a few weeks. To understand the story, we must go back to September 15, 1895, the birth date of Hildebrand Gurlitt. His father was a noted art historian and his grandfather, Louis, a celebrated landscape painter. During World War I, Hildebrand served with distinction as an infantry officer and was wounded three times. After the war, he was finally able to study the history of art in his home town of Dresden and soon gained his doctorate. In 1925, aged just 30, Hildebrand was appointed director of the city art gallery in Zwickau, 50 miles south of Leipzig. 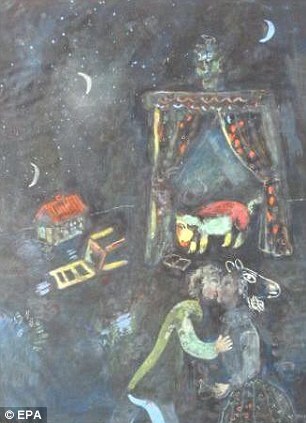 There, he quickly established a stellar reputation for promoting the works of modern artists such as Paul Klee. However, in 1930, according to what he would later claim in his interrogation by the Americans, his taste for ‘degenerate’ modern art and his Jewish ancestry ‘incurred the enmity of the Nazis’ and he was dismissed from his post. This was a curious assertion, as the Nazis did not gain power in Germany until 1933. Though they were making inroads in Zwickau in 1930, a Left-wing party was in charge of the town council. In all likelihood, Gurlitt was lying. He claimed that his antipathy to Hitler also cost him his next job, as head of the Art Association in Hamburg. This may have been true, but whatever actually happened, what we know is that at this time Gurlitt started assembling one of the world’s most fabulous collections of modern art. He displayed it in a private gallery on the Alte Rabenstrasse in Hamburg, and it was regularly visited by leading members of the arts world such as the playwright Samuel Beckett. But while Gurlitt was presenting a liberal face in public, in private he was happy to do business as an art dealer for the Nazis he claimed to detest. After he had seized power, Hitler — perhaps motivated by his own failure as a painter — decided to persecute the world of modern art, which he regarded as being hostile to the nationalist and Aryan goals of Nazism. On July 19, 1937, that assault was turned into a notorious exhibition in Munich called Degenerate Art. Staged on the authority of the Nazi propaganda minister Joseph Goebbels and assembled in just three weeks by one of his flunkeys, Adolf Ziegler, 650 items were put on show (though Goebbels ordered 16,000 pieces to be confiscated). Yet despite their hatred for these works, the Nazis were perfectly happy to profit from them. Goebbels ordered the pieces to be sold abroad to raise money for tanks and other armaments. Many art dealers were tasked with selling the works on the international market — among them the supposedly anti-Nazi Hildebrand Gurlitt. During his interrogation, he made no mention of his association with this piece of cultural desecration, but there is no doubt he profited from works sold for knock-down prices by Jews hoping to obtain exit visas and flee abroad. 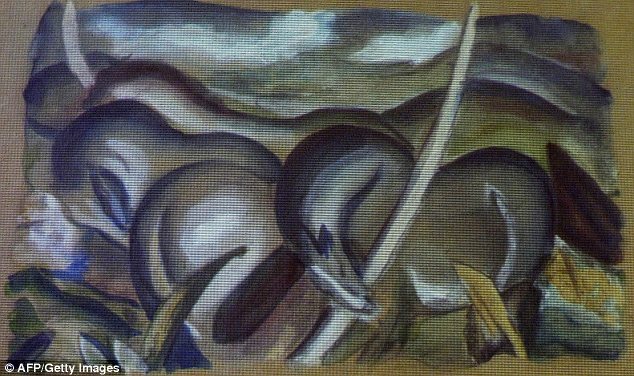 On January 11, 1940, Dr Henri Hinrichsen, a Jewish music publisher from Leipzig, was forced to relinquish to Gurlitt his Pissarro painting, Sower And Ploughman, while he was living in Nazi- occupied Brussels. Despite his sacrifice, Hinrichsen would never receive his longed-for exit visa. He was arrested and sent to Auschwitz, where he was gassed at the age of 74 in September 1942. The unscrupulous Gurlitt would profit countless times in similar ways. 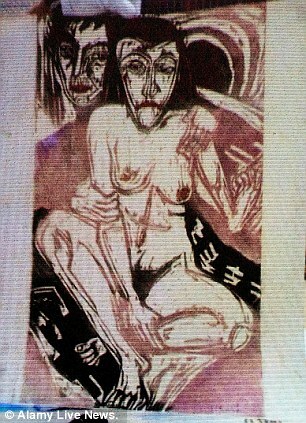 In 1939, he bought for the absurdly cheap price of $100 the work Two Female Nudes by the leading German expressionist artist Otto Mueller, which had been confiscated from a private collection by the Gestapo in 1935. Gurlitt sold the work two years later and once again it is fair to assume he made a healthy profit. If one scours the catalogues of auction houses and art galleries, again and again the name Hildebrand Gurlitt appears. He bought Paul Klee’s painting Swamp Legend for a mere 500 Swiss francs from the Jewish El Lissitzky family, though at that price, the transaction must be considered a theft. Gurlitt sold it to the Swiss art collector Ernst Beyeler, and the painting now hangs in a gallery in Munich, despite pleas for its return by the surviving El Lissitzkys. But it was Gurlitt’s appointment as special representative for the massive museum of culture that Hitler was planning for his home town of Linz that would really earn him his wealth — and his vast art collection. During the war, Gurlitt made ten trips to Paris, where he would claim in his interrogation that he acquired 200 paintings for the Linz museum. Many of these works were bought from Jewish collectors — once again, for prices that were well below their market value. In his interrogation by Dwight McKay, Gurlitt denied he had done any such thing — but there is no doubt he was lying. This was a man who was willing to rip off Jews in his home country, so why such scruples for the Jews of occupied France? And there can also be no doubt that as well as buying paintings for Linz, Gurlitt was assembling a huge private collection of modern art — which has now come to light in his son’s flat in Munich. He certainly had the means to do so. By his own admission to Dwight McKay, thanks to his charging a commission of 4 per cent on everything he bought and sold, Gurlitt’s annual income more than quadrupled from 45,000 Reichsmarks before the war to 200,000 Reichsmarks in 1943 — worth £750,000 today. 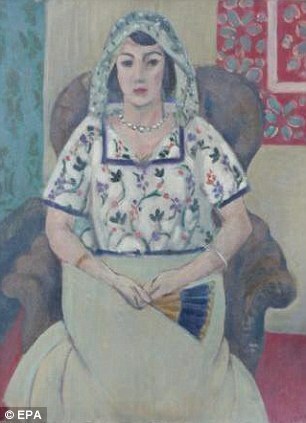 Gurlitt made the last of his trips to France in June 1944, at around the time of the Allied invasion. He then headed to Dresden, where his home at 26 Kaitzer Street was destroyed in the bombing of the city in February 1945. Gurlitt moved with his wife and children — including a 12-year-old Cornelius — to his mother’s house outside the city. The art dealer, or rather art thief, now had a problem. How was he going to save his family and precious collection from falling into the hands of the incoming Russian army? In his interrogation, Gurlitt claimed he managed to obtain a truck and a trailer that carried him and his ‘boxes’ 250 miles south-west to a castle in the small town of Aschbach, which is about 40 miles north of Nuremberg. According to Gurlitt, the trip took three days, from March 22 to 25, 1945, with his family lying on mattresses next to the precious artworks. This was quite an undertaking, with fuel and vehicles in short supply. 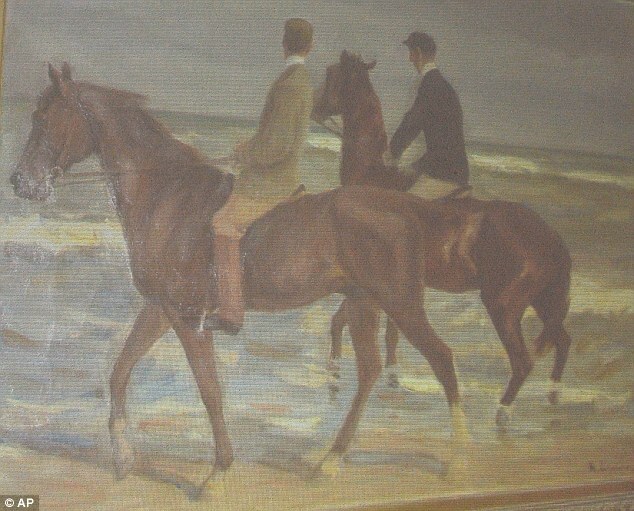 Gurlitt must have used an enormous amount of influence and money. The trip was immensely risky, with target-hungry Allied aircraft patrolling the skies. 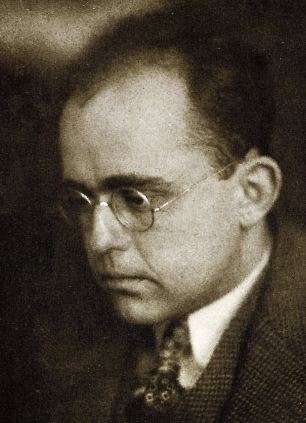 Gurlitt managed to lay low in Aschbach until June 1945, when he was arrested by the American 3rd Army acting on the advice of the Art Looting Investigation Unit. Several boxes were seized, which contained 139 artworks, including a Picasso, a Chagall, a Rodin and at least two paintings by Degas. 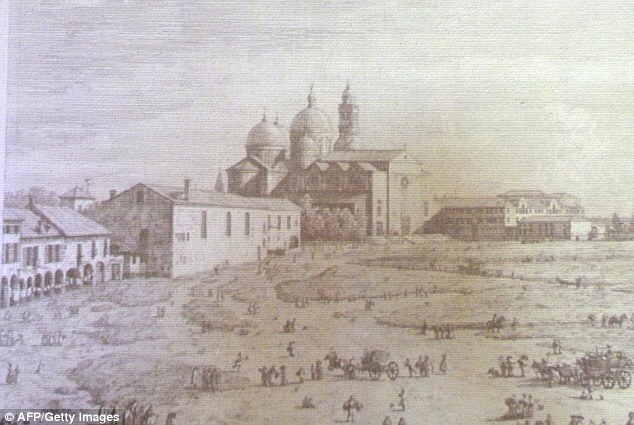 After his interrogation, all the works were moved to Wiesbaden, where they were placed under the control of the Monuments Men. Formed in 1943 and comprising 350 men and women from 13 nations including Britain, they were a group of dedicated art professionals, such as curators, archivists and scholars, given the task of saving as much culture as they could during the Allied invasion of Europe. One of their main roles was to locate hidden caches of art plundered by the Nazis, catalogue it and return it to its rightful owners. It was a mammoth undertaking. Gurlitt was nothing if not cunning. After his interrogation with Dwight McKay, he was quickly released, having convinced the perhaps naive young investigator that he was merely a harmless academic, who was fortunate to have a nice collection and should even be seen as a victim of Nazism. What Gurlitt failed to declare was that the collection was far larger than the 139 works that had been seized and stored at Wiesbaden. 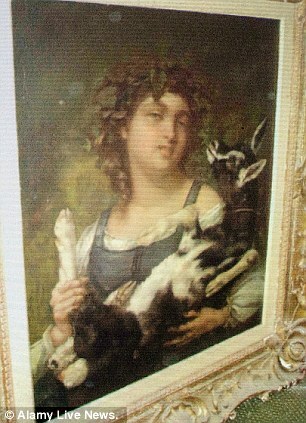 Hidden somewhere else, their location known perhaps only to Gurlitt and the young Cornelius, were another 1,250 pieces. For the next five years, Gurlitt bamboozled the Monuments Men with letters and references that attested to his innocence and rightful ownership. The Monuments Men should have seen through his lies, but they were snowed under by the scale of the Nazis’ plundering across Europe. There were bigger fish, in the form of looted Rembrandts and Titians. Picasso and other modern works were not as highly prized as they are today. The tactic worked. 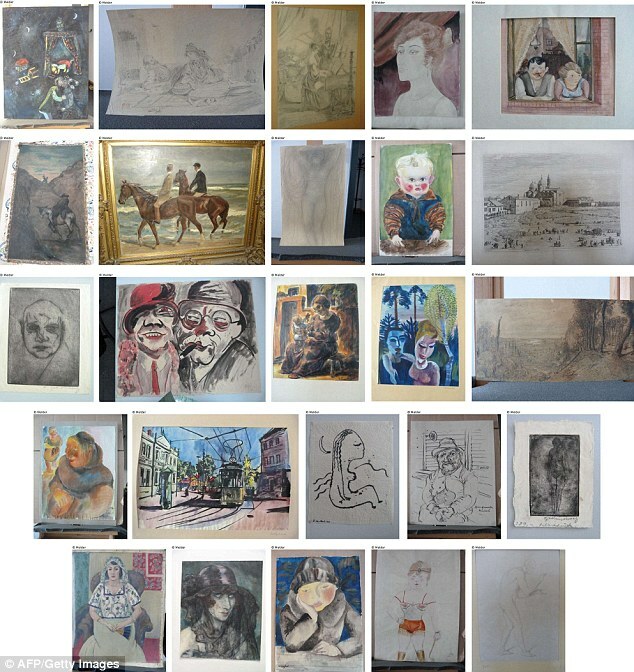 Two days later, the majority of Gurlitt’s seized collection was returned to him by the Americans, with the Picasso and Chagall following a month later in January 1951. What happened to the collection for the next 60 years is a mystery. Gurlitt died in a car crash in 1956, and on January 25, 1967, his widow told the authorities all his paintings had been destroyed in the bombing of Dresden. It is a lie that her son Cornelius managed to maintain for decades. Thanks to his secrecy and the credulity of the Monuments Men, the true owners of so many of these works have been deprived of their property. Many of the works may legally belong to Gurlitt, but morally there can be no doubt they belong to others. It can only be hoped that the authorities — and the equivalent of today’s Monuments Men — will not allow another Gurlitt to get away with it once more.